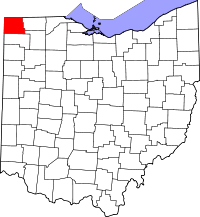 When searching for vital records, such as marriage records, birth records and death records in Williams County, Ohio, the first place to start is the Ohio Office of Vital Statistics at http://www.odh.ohio.gov/vitalstatistics/vitalstats.aspx. Here, you can find all the information you need when searching for any vital record. Another way of obtaining a birth certificate or death certificate is through VitalChek. Their website accepts online requests for a certified copy of a birth or death certificate. You can locate VitalChek at http://www.vitalchek.com. Another helpful website for locating vital records in Williams County, Ohio is the Williams county Records Center at http://www.co.williams.oh.us/Probate_Juvenile/myweb/wm_cty_records_center.htm.